Have you ever actually read your car insurance policy? If you have, do you understand what coverage it provides? If you don’t understand the policy or what coverage you purchased, please know that you are not alone. Many lawyers, and even insurance company experts, will admit that the policy language is confusing. 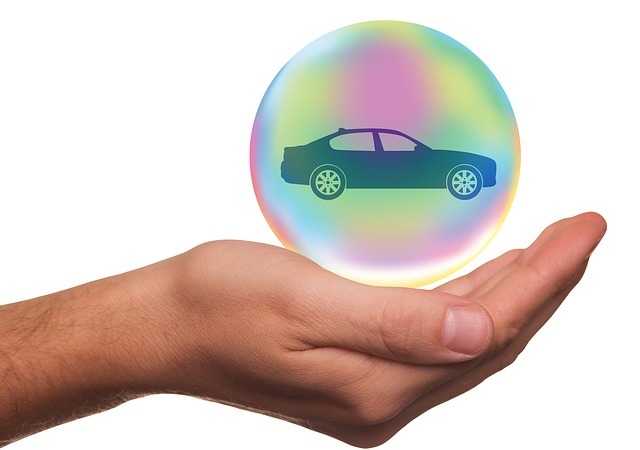 Your auto insurance policy is a contract between you and the insurance company. These contracts are supposed to be written in a way that an average lay person can understand what they mean. However, that simply is not the case. For example, at the beginning of the policy, there are a variety of definitions for important policy terms. However, these definitions often change based on which section of the policy you are reviewing. If you are unsure about your coverage and what it includes, you should contact your insurance company and have them explain these terms before you are in accident. In addition, you want to be clear on the type of coverage you have. Some coverages are required by state law, and some are not. In addition to the type of coverage, it's critical that you understand the amount or limit of insurance you purchased for each type. For instance, Kansas and Missouri law require a minimum of $25,000 per person liability coverage. We have written previously about why this amount of liability coverage is insufficient. Given the rising costs of medical bills, the minimum amount is simply not enough. Even worse, once it is exhausted, you will be financially liable for the remaining amount due for that accident or any other accident during that policy period. Similarly, if you are injured in a car wreck by another driver who only carries this minimum amount of liability coverage, you will be stuck with unpaid bills and lost wages, unless you added an optional coverage to your policy known as under-insured motorist coverage. Underinsured coverage is a critical coverage that everyone needs to add to their car insurance policy to protect themselves and their families from drivers with inadequate liability coverage. Unfortunately, your agent may not take the time to explain any of this to you. Most of the time, they often have little or no incentive to encourage you to purchase higher limits or added coverage because the extra premiums are so small. However, the small additional cost to you gives you important added protection. For a small additional premium (many times, $20 or $30), the risk you are shifting away from yourself to the insurance company can be extraordinary. Don't Be Confused by "Full Coverage"
All too often, we get calls from clients who are injured in a car wreck, but they simply don't have enough insurance to cover their costs. In these situations, there's not much that can be done. Many of them thought they were purchasing "full coverage" and thought they were safe. But they did not understand the type of coverage they had or why the limits were insufficient. When they got into an accident, their insurance coverage did not cover everything they thought it would. Don't let this happen to you. Call your insurance agent, and make sure you have the right coverage in place. If you have questions or would like more information, I wrote a book that can help you make good decisions on buying car insurance. You can download it for FREE right now, Buying Car Insurance: the Ultimate Guide to Protecting Your Family From Irresponsible Drivers in Kansas and Missouri. If you were in an accident and need to understand how the policies at issue may offer coverage, we can help. Please call our Kansas City car accident law firm at (816) 203-0143, or fill out the form below. We would be happy to review your policies and any other information as part of our free, no-obligation consultation.